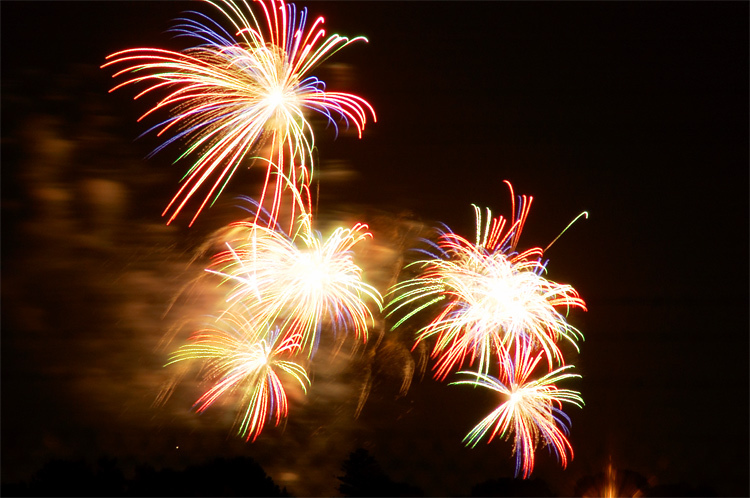 Every year around Australia Day (3 days late, this year), Adelaide puts on a fireworks display, known as Skyshow. It's held in Bonython Park, near the city. So to avoid the crowds, but still get a view, we headed away from the city, to the far side of the airport. From this distance, the 70-300mm lens (mostly at 300mm) seemed to be the most suitable. It's pretty finicky about focus, and is easily bumped out of focus. I wasn't really that happy with any of the fireworks shots, but this one is probably my favourite. Skyshow was scheduled to start 'soon after sunset'. Well sunset was at 20:26, and Skyshow didn't start until 21:16, so there was plenty of time to photograph other stuff. 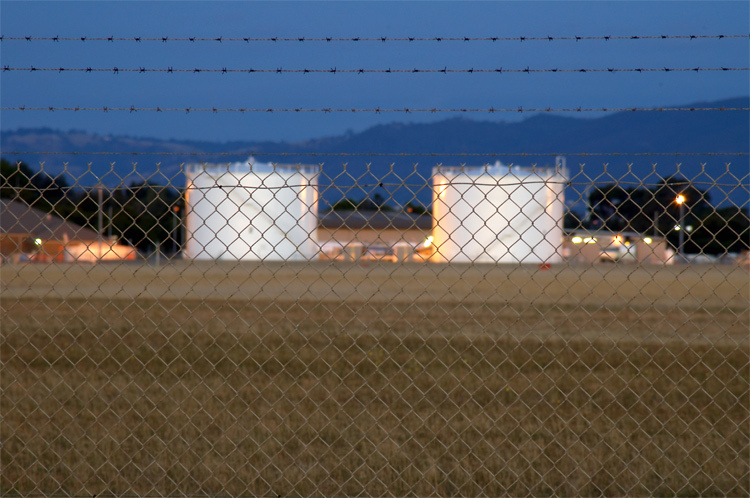 The second shot, of the airport fence with fuel storage tanks in the background, is one of my favourites.